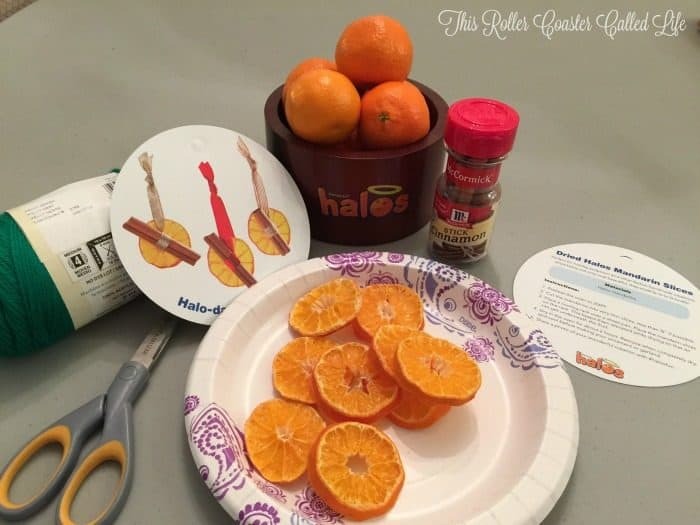 Halos sent me some coupons to purchase Halos with, and some fun craft ideas and recipe to use the Halos with. 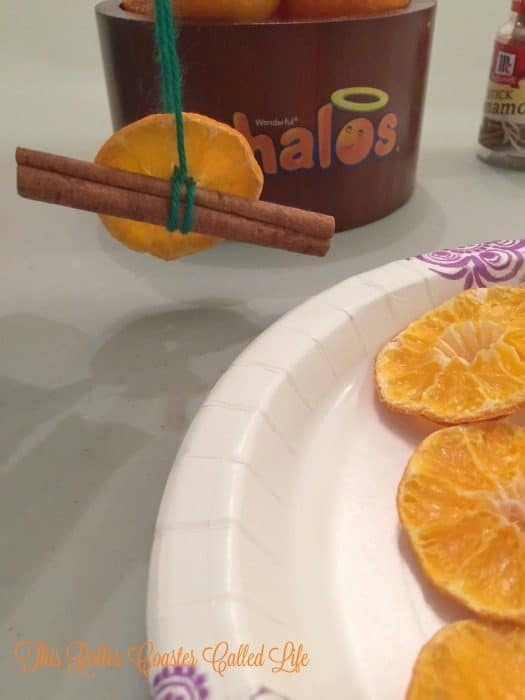 Using their tips, I made this fun “Halo-day Ornament”. It not only would work well as an ornament, but it would also look nice year round in the kitchen area. To start, I preheated the oven to 200°F. 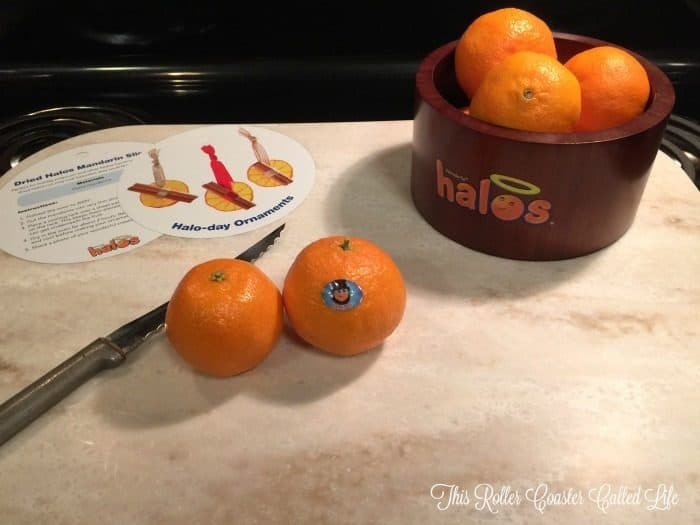 Then, I had to take a few Halos mandarins and cut them into very thin slices. They recommended less than 1/4 inch. 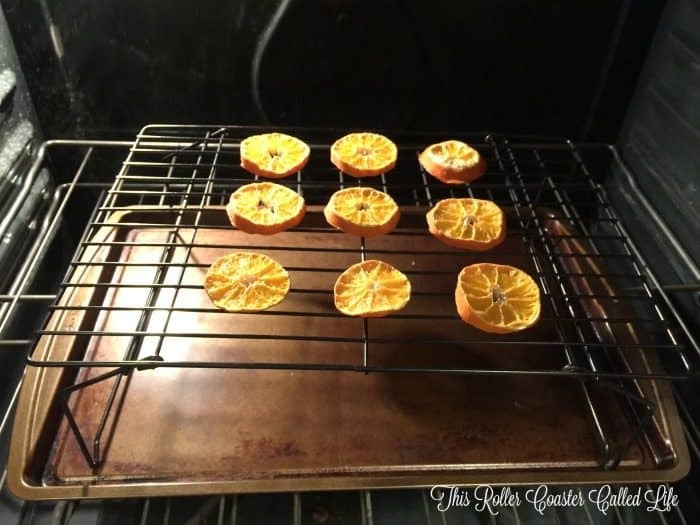 Next, I placed a cooling rack over a sheet pan and placed the mandarin slices on the rack as above. The rack and pan were then put in the oven for about two hours. 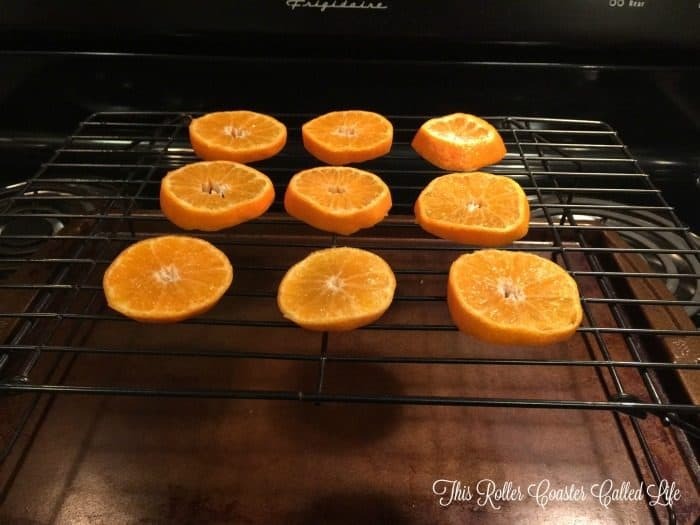 After two hours, I took the slices out and let them cool. 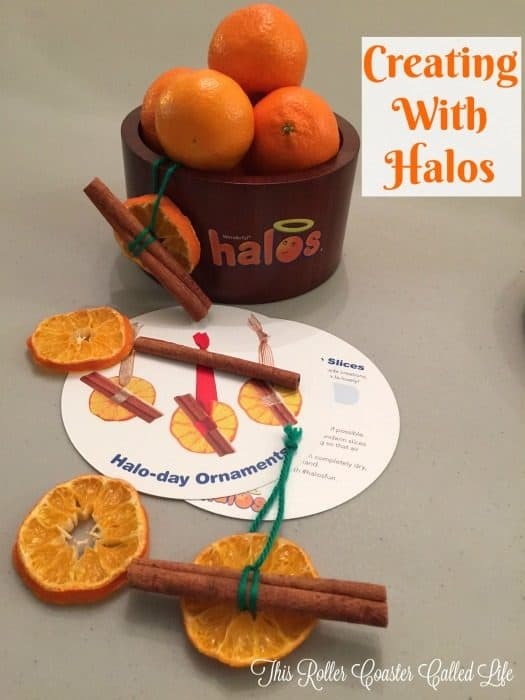 I noticed that mine were a little more “crinkly” than Halos example, but I think they worked fine anyway. After the slices cooled, I took my supplies over to the table to assemble the ornaments. I forgot to pick up ribbon, but I did have yarn on hand, and I think that worked well. 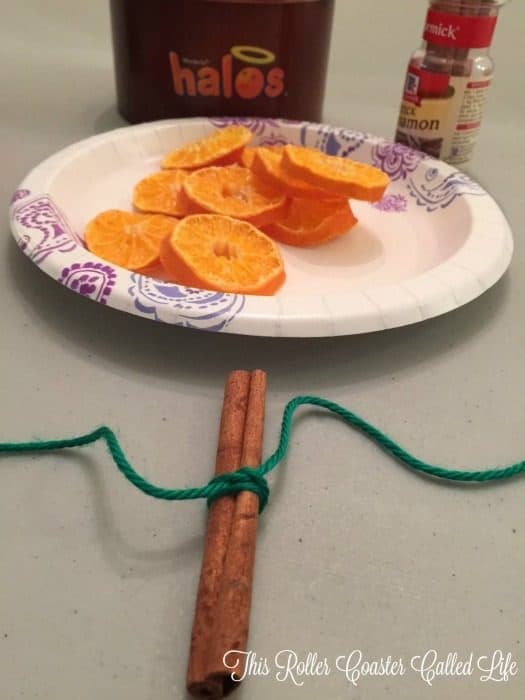 I started by cutting a length of yarn and tied it around the middle of the cinnamon stick. 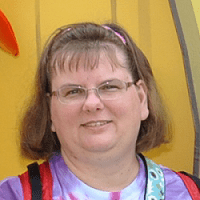 I did double knot it, so it wouldn’t untie later. 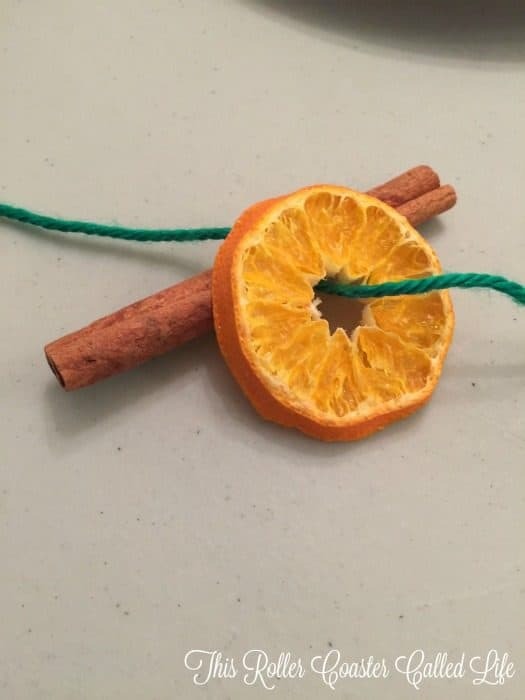 Then, I threaded one end of the yarn through the center of a mandarin slice. Finally, I tied the yarn in a knot, leaving a two inch loop. And just like that, I was finished with the first one. Are you ready to make your own?